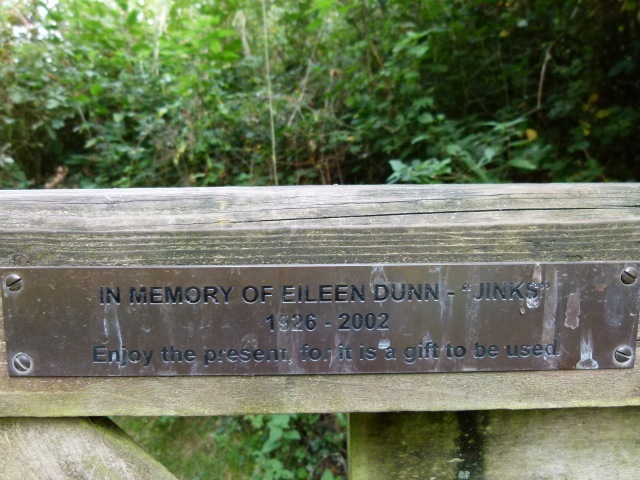 Tender dedications to the memory of Frank Dunn, “Pops”, and Eileen Dunn, “Jinks”, have become enduring and popular landmarks at the entrance to White Gate Lag field. The signs are currently in the safe keeping of the Friends of Chesworth Farm as the gate posts on which they were mounted have been removed to make way for the new boardwalk in the wetlands project. The plan of HDC and the Friends is to return the dedications to as near the same spot as possible in the near future. Would the Dunn family like to get in touch to discuss any aspect of this? Please contact the Friends via our contact page, message us via Facebook or by email chesworthfarm@hotmail.co.uk.